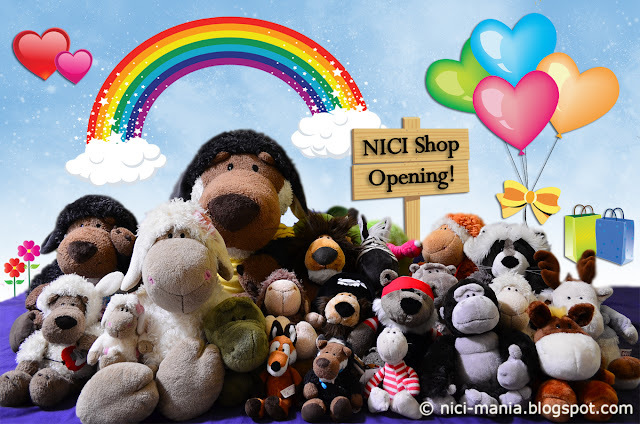 Yesterday, we received an email from NICI Malaysia telling us that the NICI shop at 1Utama is finally reopening! Our NICI plush toys are all extremely excited about the news, you can see how happy they are! 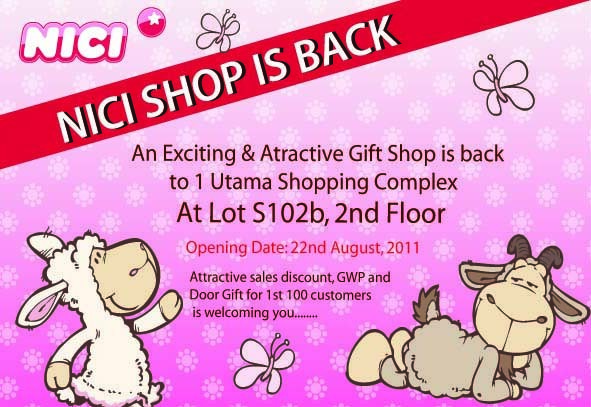 This flyer was included in the email stating that the opening date of NICI shop Malaysia is 22nd August 2011. There will be discounts and free gifts! Wow. If you have followed our previous entry (NICI Outlet at 1Utama), the NICI shop has been closed for almost half a year due to renovation. The only problem: 22nd of August is a Monday! How are we supposed to go there on a Monday?! Why don't they re-open on a Saturday? 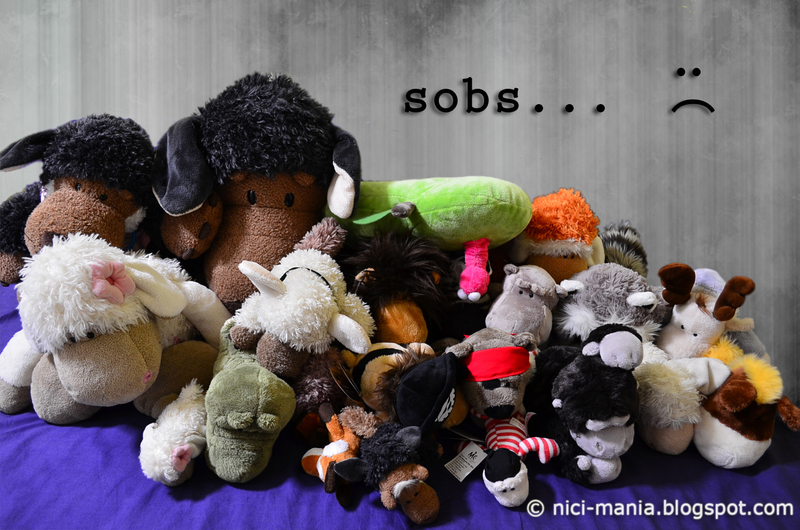 So our NICI plush toys are all very sad because they don't have a chance to go..sigh! Can the NICI shop reserve the discount for us on the following weekend of the opening? Yes agree, more minily!! The tiger and turtle minily are really cute and we can get it much cheaper if we buy from there.